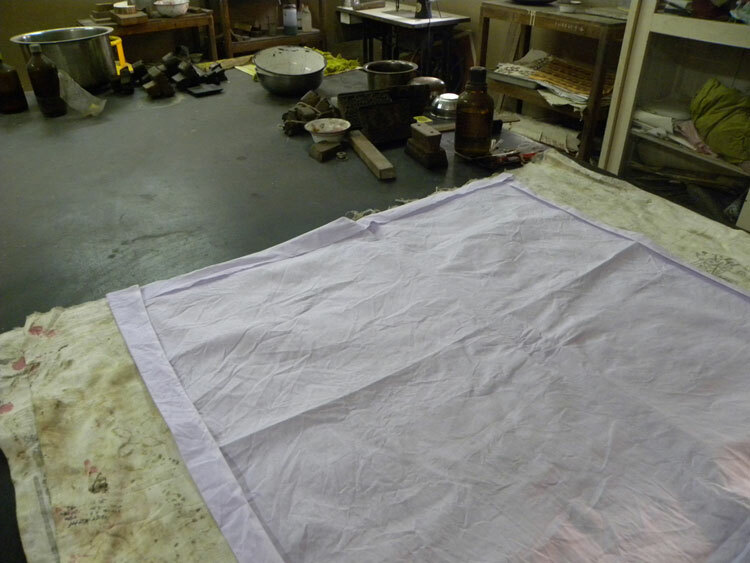 Raw materials with cotton cloth to start block printing. Mixing colour with binder and fixer and making colour pad to get a print. 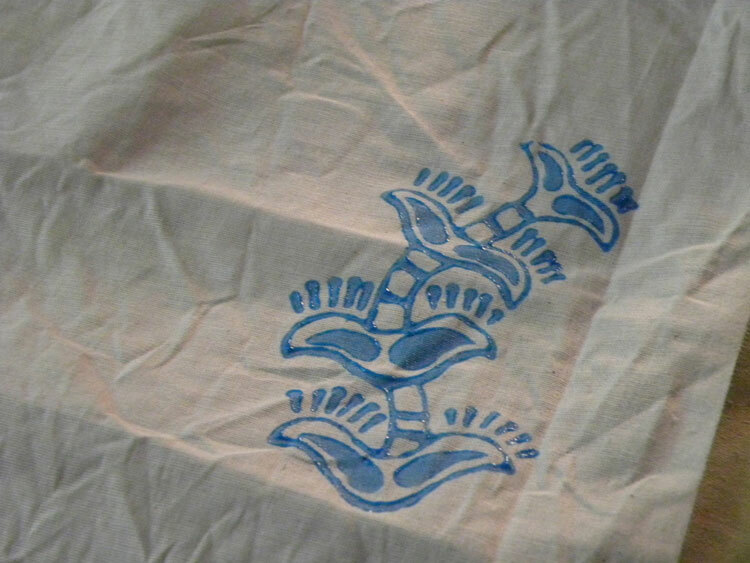 Print of decorative flower pattern on cloth. 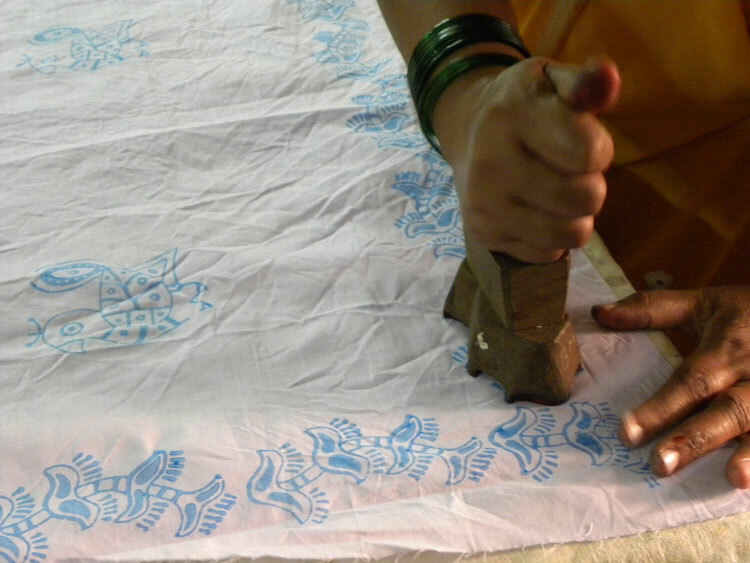 Making a design for border of table cloth with block. 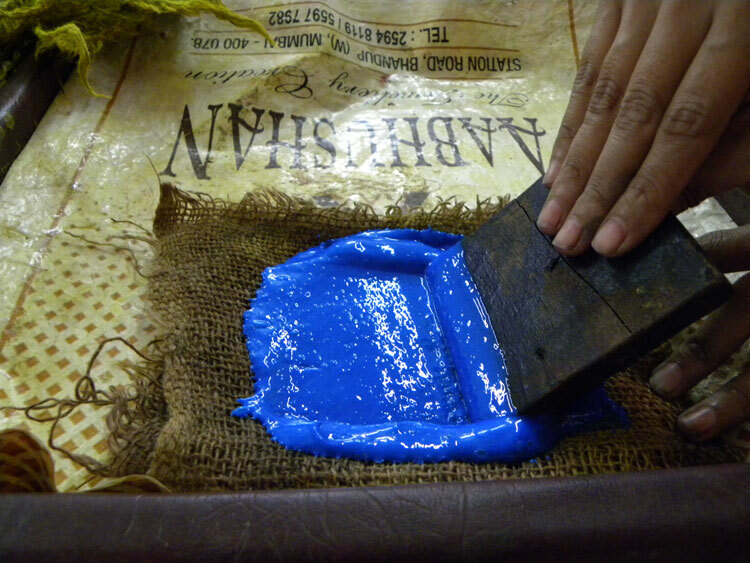 Dip into the colour pad and press block over the cloth. 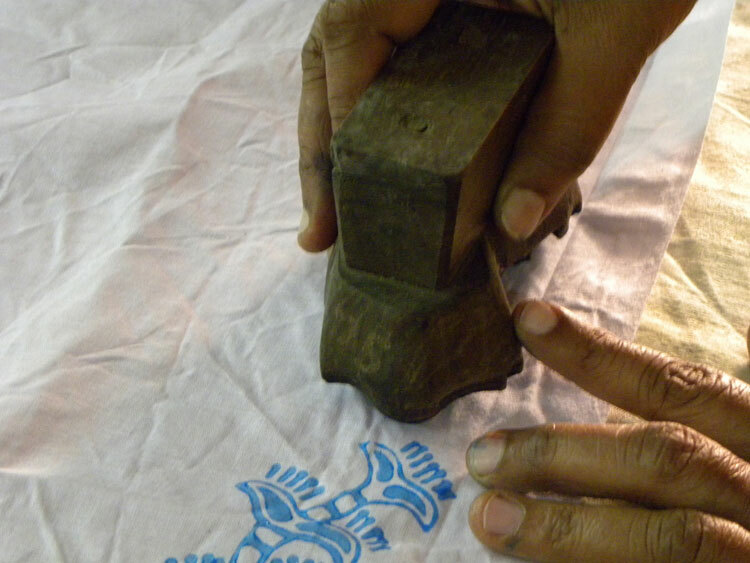 Printing inside part of the cloth with the block of decorative bird. 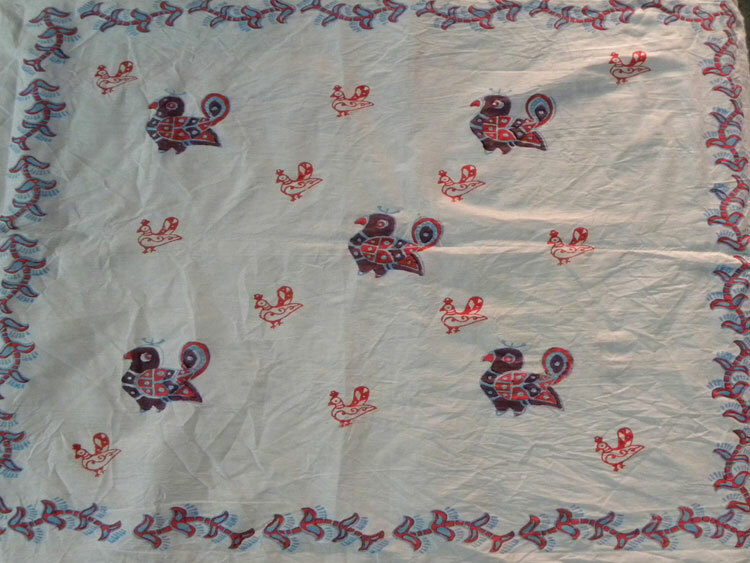 Print of border of decorative bird pattern. 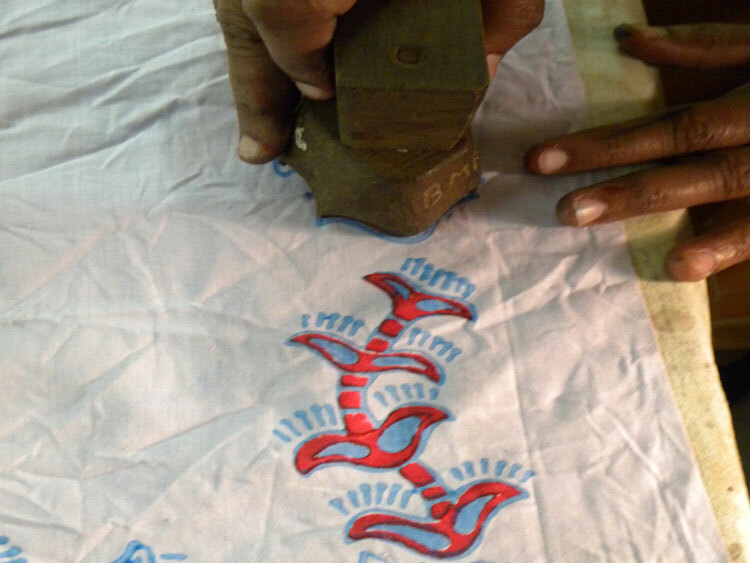 Take another colour and dip block into that colour pad and fill the already made pattern. Press the block over the pattern to fill with colour and complete the design of border. 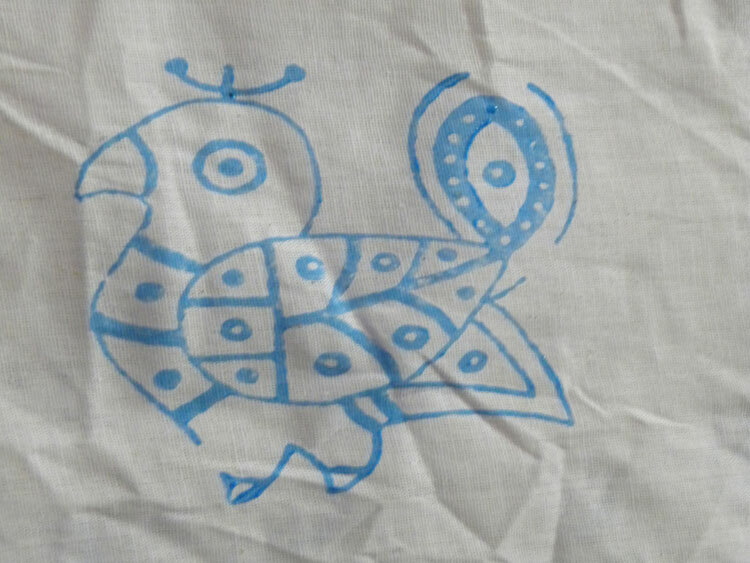 Take another colour and press the block over the pattern of bird to fill it. 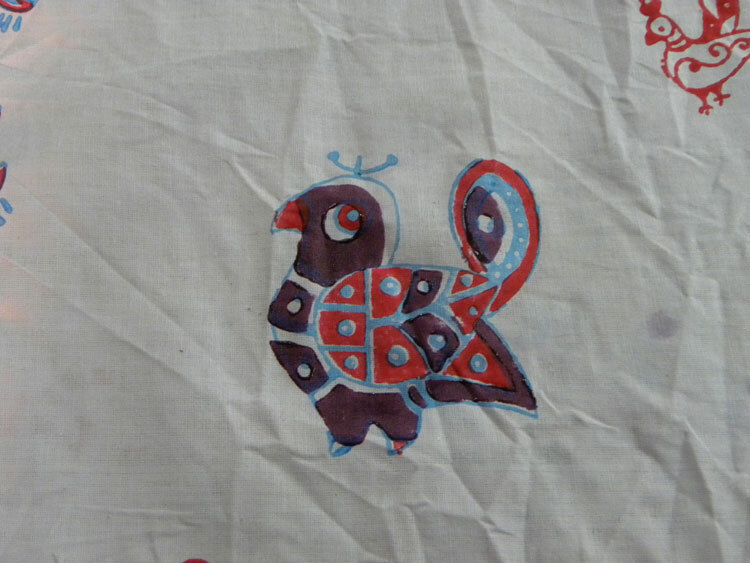 Fill the bird pattern with two colours all over the cloth. 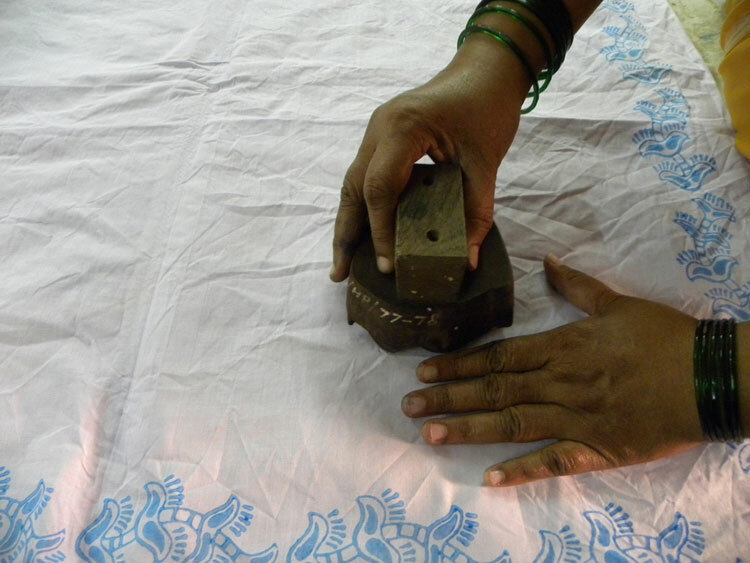 Final block printed table cloth is ready. 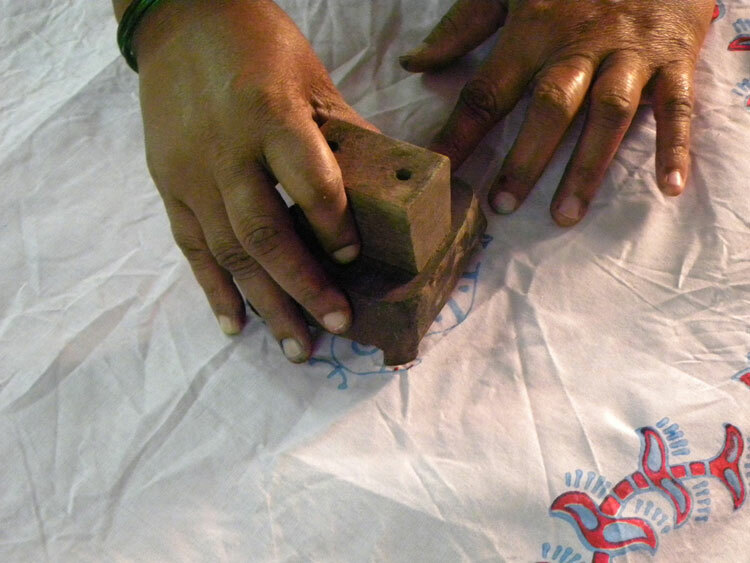 Hand block printing, a craft handed down through generations is in the forefront of the fashion scene today. 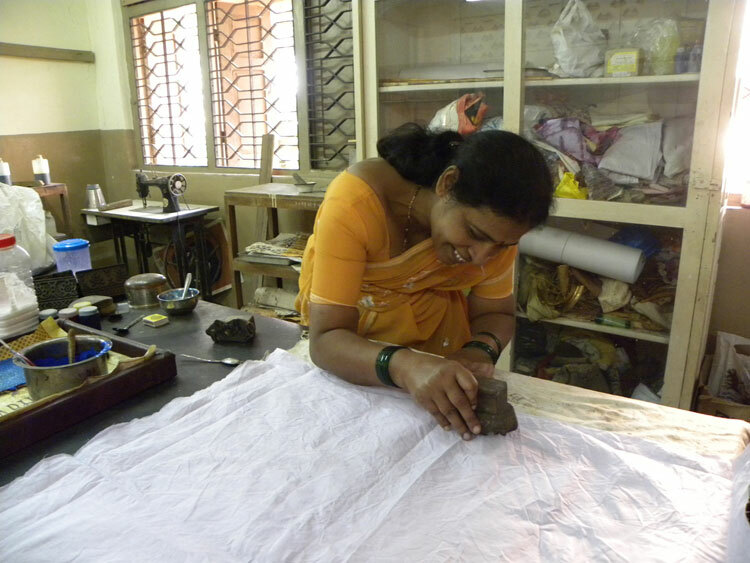 The ancient craft has seen a major revival over the last two decades and has moved away from its traditional rural centres to the metropolitan cities of Delhi, Mumbai, Chennai, and Bangalore.